The second chart is the longer-term projection published in the October 28 Profit Radar Report. 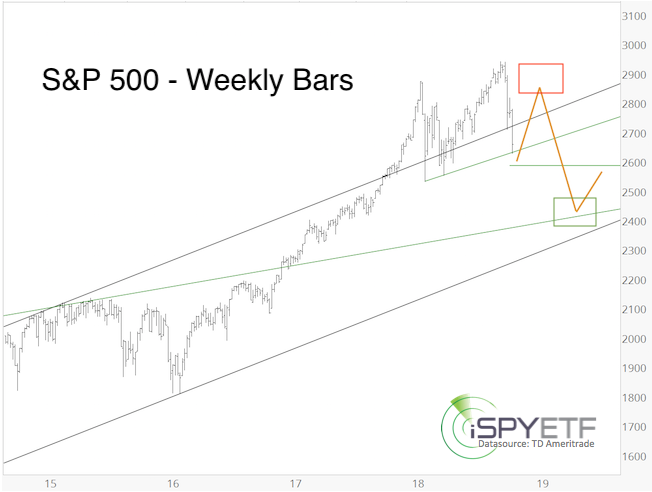 According to this projection, the S&P 500 was to bottom around 2,600 and rally into the red box up side target. Barron's rates iSPYETF as "trader with a good track record" and Investor's Business Daily says: "When Simon says, the market listens." 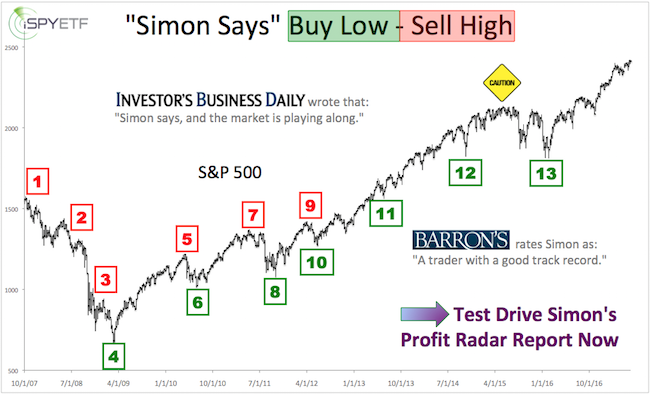 Find out why Barron's and IBD endorse Simon Maierhofer's Profit Radar Report. 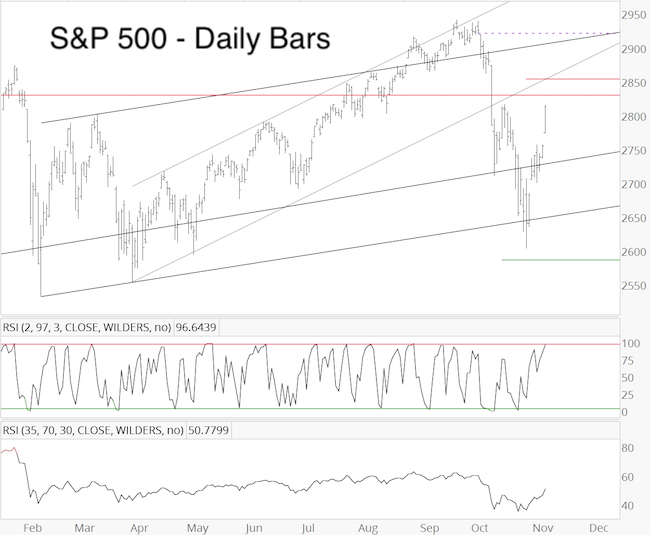 Since the upside target has almost been reached, it’s time to discuss the odds of a potentially scary ‘pop and drop’ scenario.